As the temperatures cool down and the leaves slip into their gorgeous fall colors, now is the perfect time to plan a getaway to one of Pennsylvania’s wineries. Whether you’re looking for a romantic weekend for two or a few days spent in the company of family and friends, you’re sure to enjoy one of the following. ICYMI: October is also PA Wine Month! There’s hundreds of PA wineries to visit, which is impossible to do in one fall! Juniata Valley Winery is a family-owned winery, B&B and event center situated in the rolling hills of Juniata County in Mifflin. Fun times await in the relaxed atmosphere of the winery, including Friday night music and other events throughout the year. Each morning, guests enjoy a delightful, three-course breakfast featuring fresh fruit, homemade baked goods, and a signature entrée. Must Try Wine: Visit their tasting room and ask to experience Autumn in Pennsylvania, a sweet spiced apple wine. It’s great cold or warm and a wonderful selection for the holidays to come. Deer Creek Winery is also a family-owned and operated winery, B&B and event center nestled in the foothills of the Allegheny National Forest and tucked away in the Shippenville countryside. A getaway at Deer Creek is packed full of value and charm — guests enjoy a complimentary bottle of wine, relax in a seasonally and culturally themed guestroom, and begin each day with a complimentary homemade breakfast and the B&Bs signature mimosas. 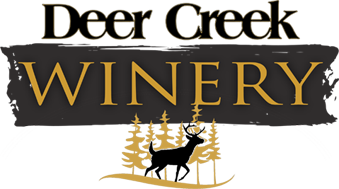 Must Try Wine: At the winery, be sure to enjoy one of their specialties, Deer Creek Raspberry Wine, one of their first creations. It’s a sweet wine made only with raspberries grown on their farm – a farm that’s been in their family for 5 generations! Brookmere Winery is a small, family winery, B&B and wedding venue located in Belleville. Visitors are sure to enjoy their award-winning wines while taking in the views. Built in 1866, the Colonial-style home located on the property has been renovated to provide four guestrooms, each uniquely decorated and furnished with antiques. Guests enjoy a full breakfast each morning. Must Try Wine: Be sure to enjoy their Three Ladies Crème Sherry. It’s a delicious after-dinner drink and pairs remarkably well with cheesecake. The Inn at Grace Winery is a tranquil haven with a winery, luxury B&B and meeting/event venue situated on a fifty-acre farm in the historic Brandywine Valley in Glen Mills. The B&B, set in a Georgian manor house, offers rooms that are lavishly decorated 18th– and 19th-century style. Guests may also elect to stay in one of eight cottages, some with full kitchens. Guests enjoy a gourmet country breakfast. On-site amenities including a billiards room, fitness center and seasonal outdoor swimming pool. Must Try Wine: When you visit their tasting room/shop, ask to sample their Dragonfly Red which is 55% Merlot and 45% Cab Franc. Blue Ridge Winery is located in the heart of the Poconos, just walking distance from The Blue Ridge Estate Rental House. At Blue Ridge Winery, visitors can enjoy a glass of wine and 360-degrees of magnificent. The rental house is the perfect getaway for a large gathering of family and/or friends. It’s a 6,000 square foot vacation home, designed for peace and quiet. The home has 6 bedrooms and 4.5 baths and 6,000 square feet of luxurious living space. 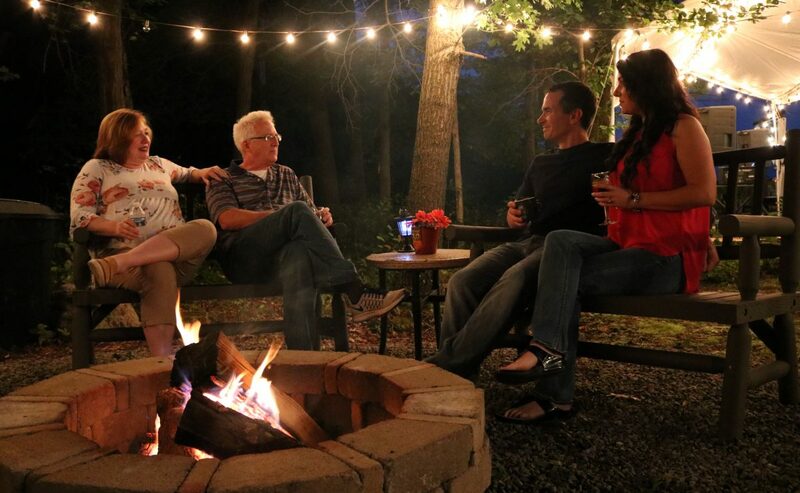 It also has a large back deck – the perfect place for a cookout. Services also available include housekeeping, catering, massages and much more. Must Try Wine: Back at the winery, be sure to check out their upcoming events and enjoy a glass of Pollination, a blending of honey, cinnamon, cloves and oranges, all fermented out together to create the taste of summer in a glass. Looking to Book Your Fall Winery Trip? Head over to our website to see our specials and packages, guest rooms, and to book online!